What it’s about: A picture book of poems written in the style of famous poets to celebrate those poets’ work. What made me pick it up: I had read two of Alexander’s other books and enjoyed them so when I saw he was releasing this project I put my name on the list. 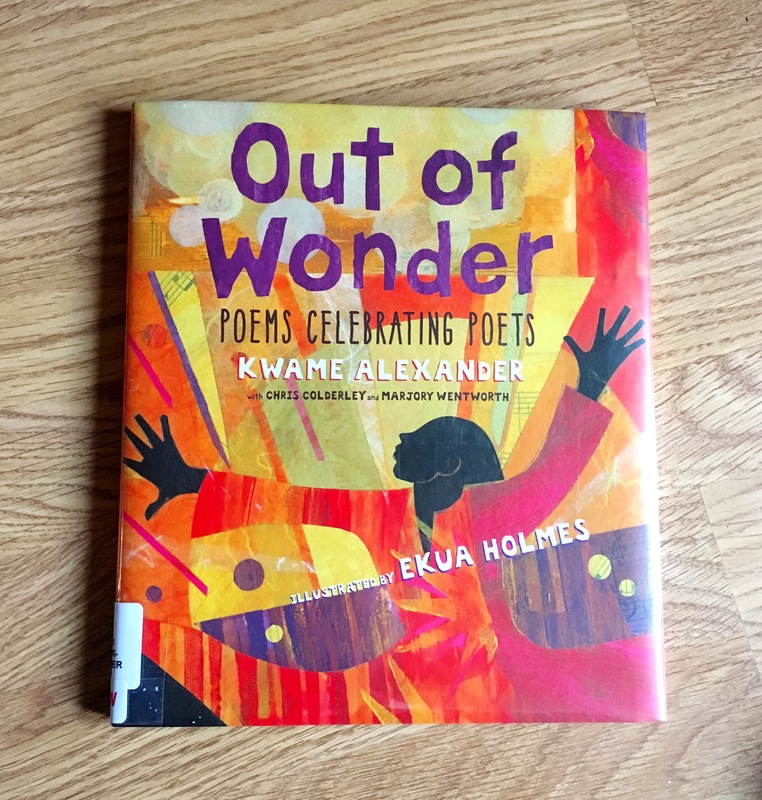 My favorite things: The illustrations in here are amazingly vibrant, not surprisingly since Ekua Holmes’ first illustration project was given a Caldecott Honor in 2016. These images manage to channel each poet just as much as the writing does. And the writing is quite good. I wasn’t familiar with all the poets but the ones I was, I can say for certain that these tribute poems are well done and match the style. Who it’s great for: Young readers who want to know more about poetry and poets. Fans of exquisite illustrations. Get a copy of this book at Amazon (affiliate link) or your local library.